The decider was the final event, the CYR DUMBBELL LIFT, where an incredible performance by USA's BRIAN SHAW saw him power to victory over Zydrunas Savickas by 1 point. 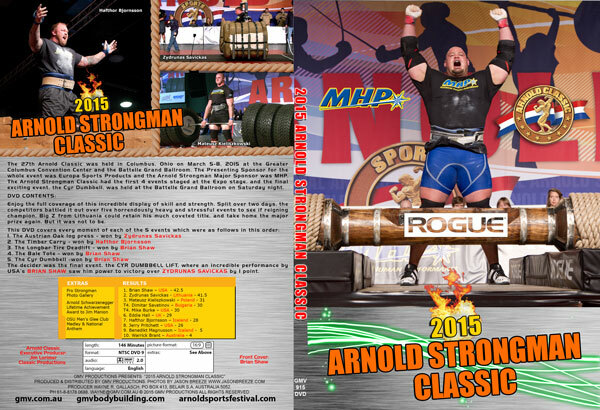 2015 Arnold Strongman Classic - Description of Events and individual Event Results. Terry & Jan Todd - Stark Center starkcenter.org for helping to make this DVD possible.